The Society of St. Vincent de Paul is marking 170 years in the U.S. providing help to people in need. In 1845, the Society of St. Vincent de Paul was established in St. Louis, Missouri at the Basilica of St. Louis, King of France, popularly called “The Old Cathedral.” The first official meeting of the Society in the United States was held on November 20, 1845. This was the start of the Society of St. Vincent de Paul in the U.S. The St. Elizabeth Ann Seaton Conference is part of the Belleville Council and consists of the following parishes in Monroe County: Ss. 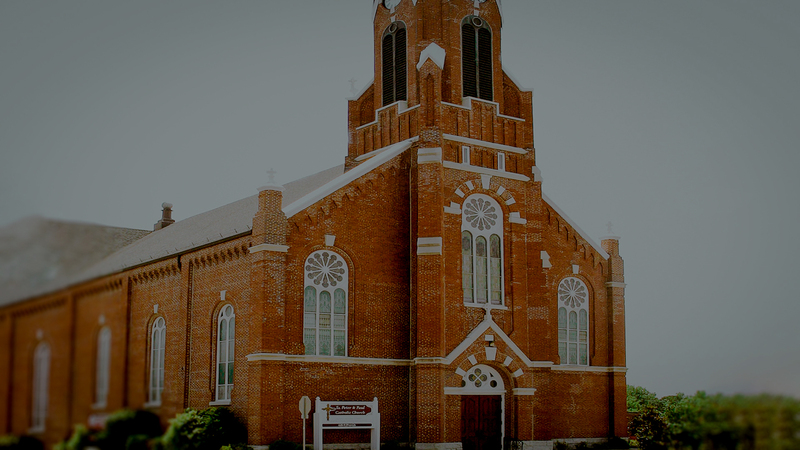 Peter and Paul, St. Augustine – Hecker, St. Mary’s -Valmeyer & St. Patrick’s -Tipton. We have been established since 2010 and minister to all areas south of Waterloo. Our members are committed to fighting hunger, homelessness, and poverty. We partner with other agencies, churches, and organizations and utilize community resources to offer assistance with utilities, rent, food, clothing, automobile, gas, medical, prescriptions, and many other needs. Our faith guides our desire to serve. We rely solely on donations and fundraising. Envelopes are provided quarterly by the parish and monetary donations can be placed into the collection basket or the poor box in the back of church. Canned goods, cleaning supplies and personal care items can also be dropped off in the wicker baskets in the front of church, which are used for our parish food pantry. Our Conference meets the first Tuesday of the month at 7:00 in the Adult Faith Formation house. The business part of our meeting last 30- 45 minutes as we report on our home visits, food pantry, mobile soup bus, youth service opportunities and share ideas in other ways we can offer assistance. The second half of our meeting is spent in prayer and discussion to learn more about our responsibilities as Catholic Christians in our ever changing society. There are many different ways you can be involved as a member of this team and truly be called to make a difference in this Jubilee Year of Mercy. Many hands are needed to do the work of God. Please consider attending our next meeting as you will be warmly welcomed!